… what an enlightened organization! 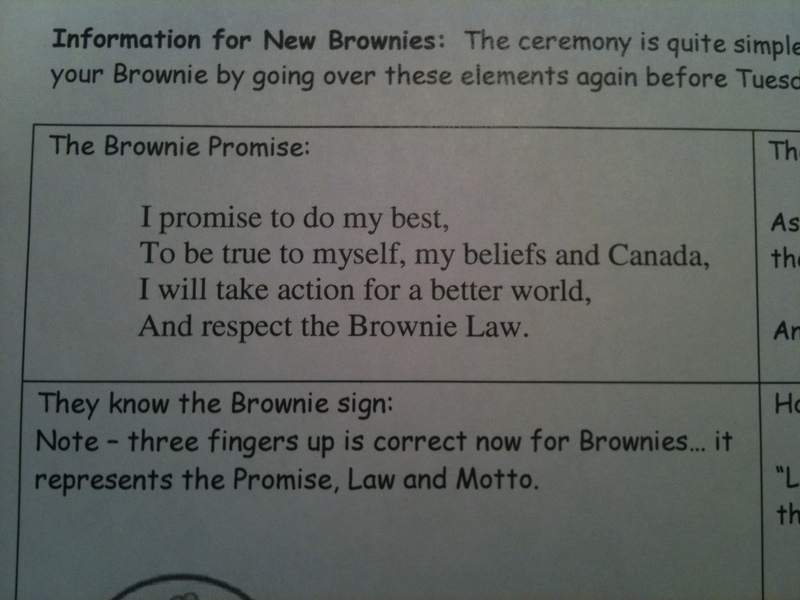 My youngest daughter wanted to join our local Brownies Chapter – largely because one of her best buds was into it. And given why I knew about it, it would be a good fit for her and her personality. 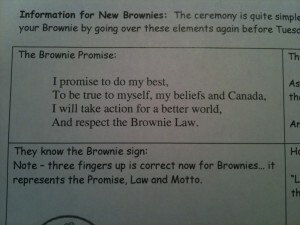 Yet, I have had some issues with organizations like the Brownies, Scouts, etc. 1. I do recognise that they can provide some young people with valuable life experiences in a positive setting. And I also recognise that these groups can help to instill strong senses of community in their participants. A trait that is often absent in many of our young. It (Scouting / Guides movement) was originally designed as a gender-segregated youth training, focussed on physical, mental, and spiritual development. As it was founded in the predominantly Christian times back in 1907 (when non-sectarian was the closest equivalent to modern secularism), everyone was assumed to pledge allegiance to God (and to the monarchy in the British/Commonwealth countries). And therein lay the problem. I had THOUGHT that this pledge was still in place (I admit that I haven’t been following the issue very closely) and was going to nuke the idea… but I was wrong (gasp)! No God. No Queen. No problem. After a scant bit of research, I learned that this was quite a debate within the Guiding community only a few years back. Good to see that good sense and 21st century rational thinking won out! Now if we can only find a way to get the same out of out publicly funded education system! 1. Yes, I have issues with lots of things, don’t I? Following up on my Don Cherry rant..